Custom painting is an art. Many people “think” they know how to paint. 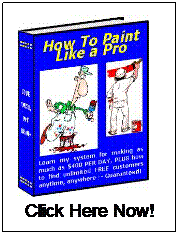 It takes a real pro or someone who really loves to paint to do a really good job. Custom starts with a good exterior paint job. I always use historic paint brochures and the exterior 3 color paint brochures to choose a color scheme with. That way you don’t wind up with an odd looking color on your shutters or your front door making it look like a clown’s house. The same thing goes for interior painting. Historic color brochures and interior 3-color combination brochures will give you an idea for the right color scheme. I always tell people to look at the existing brick or tile colors of your floor. Or the stain color of your floor and woodwork and go from there. The same thing goes for exterior painting. Start with the existing brick or stone color. Many people today don’t pay much attention to their ceilings. They want just the walls painted. Kind of like taking a bath without washing your hair. A beautiful paint job for a bedroom, living room, etc. should consist of a nice flat ceiling white, a matte finish on the walls and a satin enamel finish on the woodwork and trim. The most important part is the prep work. This part takes a pro in some cases. Have A Great Story or Some Pictures about Custom Painting? Do you have some great pics to share? Post them here along with comments and your home page or website address even. I will make the URL live for you! 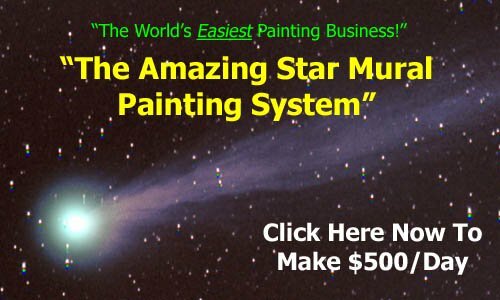 Enjoy this article about custom painting? Go here for more handy tips.